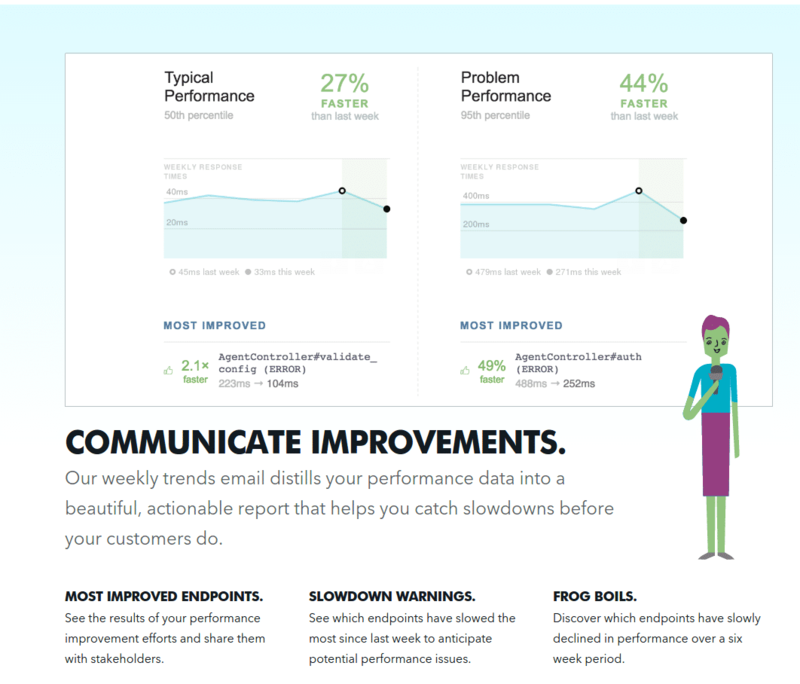 Turn your data into actionable insights. 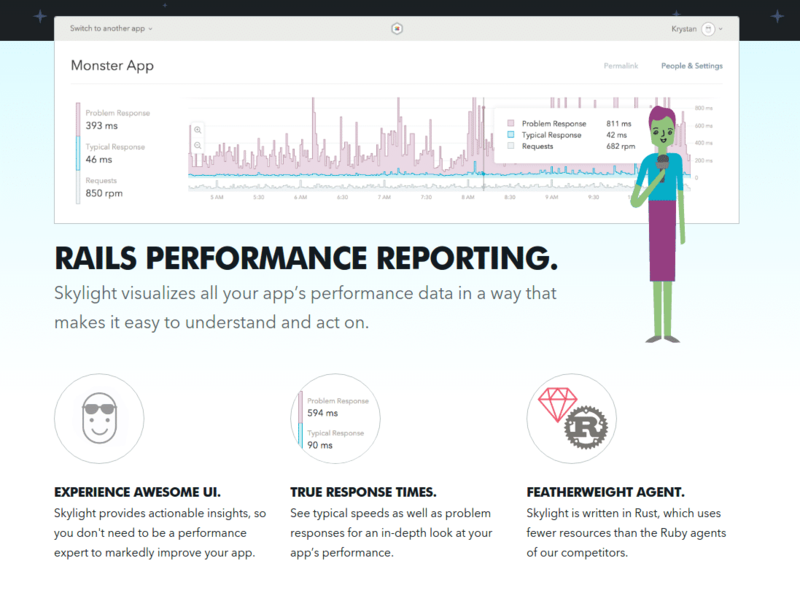 Helps you to effectively diagnose your applications. It will notify you about repeated queries which minimizes the performance of your application. 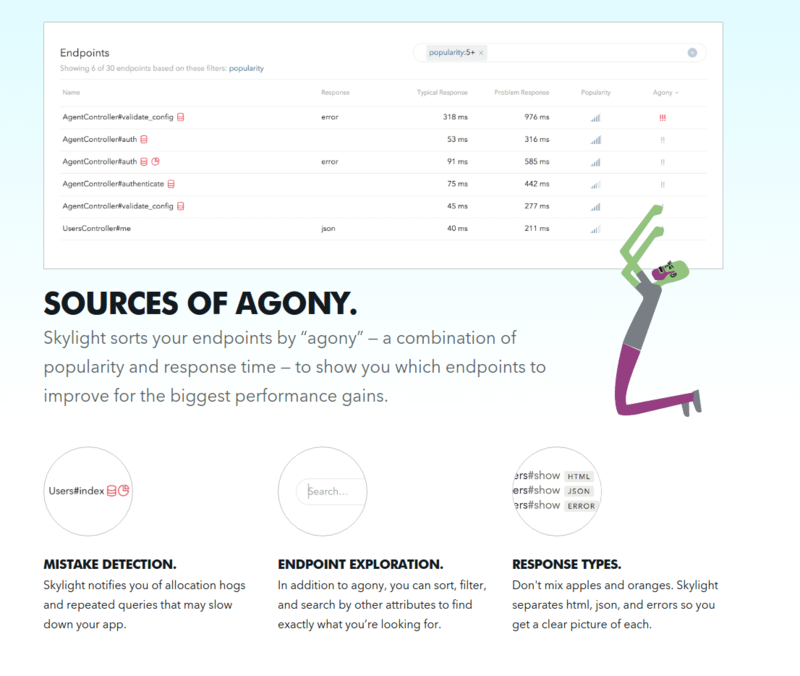 It will allow you to view response times in order to discover slowdowns that impacts the performance. Along this, you can filter fastest and slowest responses using which you can identify the cause of the issue clearly. In addition, this application supports multiple Ruby frameworks like Sinatra and Grape. 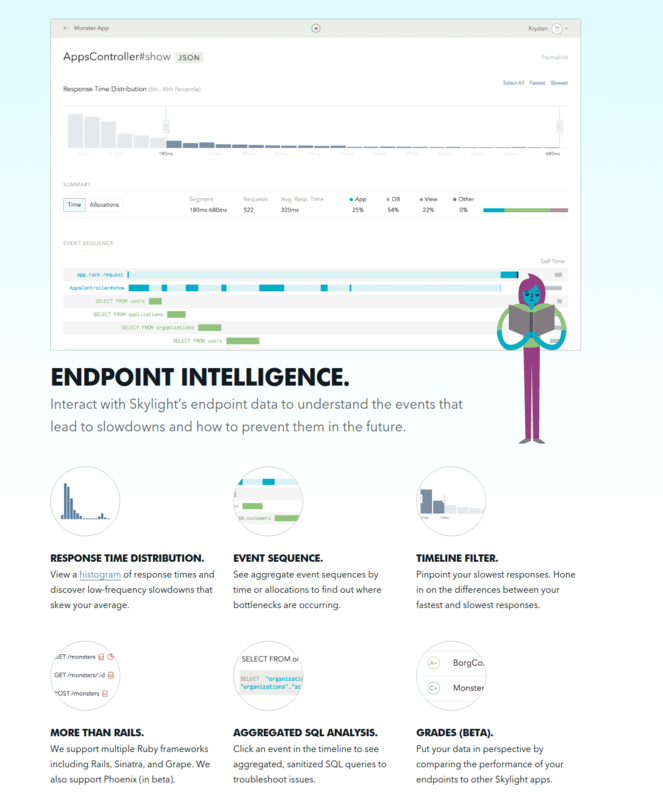 It has aggregated SQL analysis that will help you troubleshoot the issues easily. Moreover, this software has some other additional features such as event timelines and code mistakes. How much does Skylight cost ? The pricing for Skylight starts at $20.0 per month. 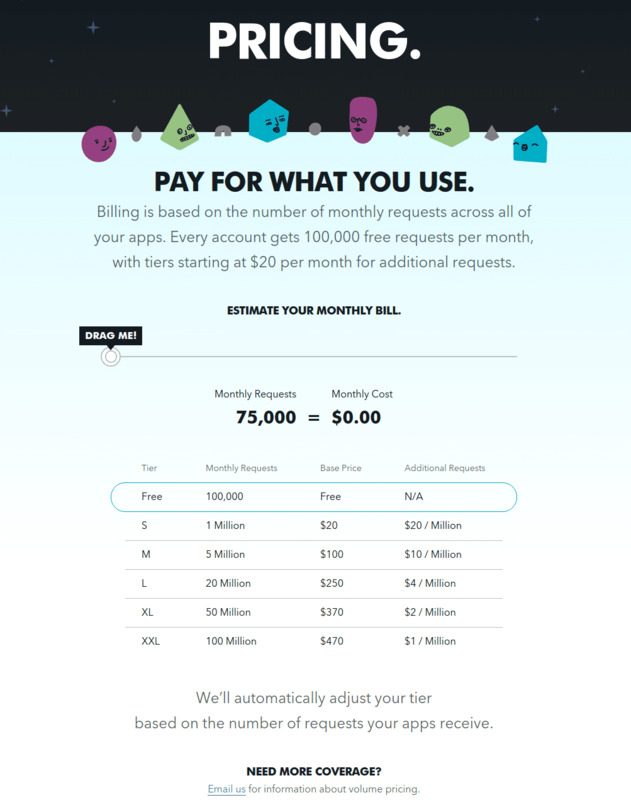 Skylight has a single plan - PAY FOR WHAT YOU USE at $20.0 per month. 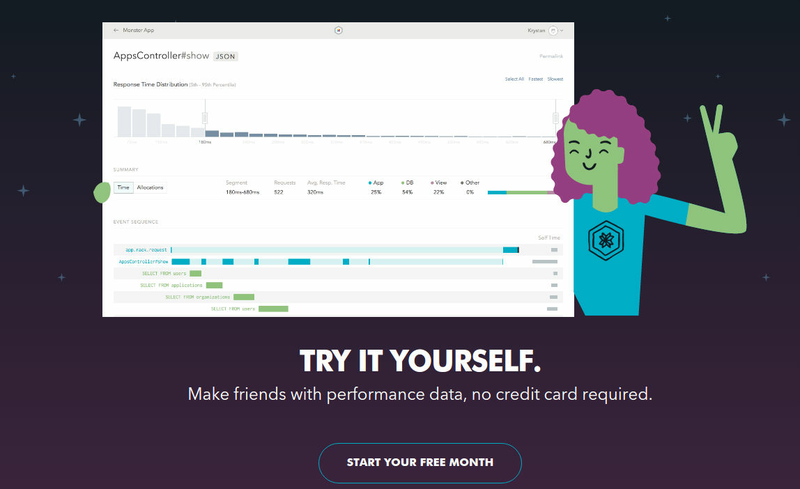 We will automatically adjust your tier based on the number of requests your apps receive. Email us for information about volume pricing.